A big milestone is approaching Bitcoin this year. Since its development in 2009, the cryptocurrency has been marching toward “completion.” Satoshi Nakamoto capped the amount of bitcoins at 21 million. In the beginning, when bitcoins were rare, “mining” for bitcoins was necessary to increase the amount in circulation. This is why Bitcoin were reward with 50 BTC when completing a block then. It was predicted, though, that as more of the digital currency went into circulation, the need for new coins will become less. This is why the system automatically halves the reward for miners when a certain amount. 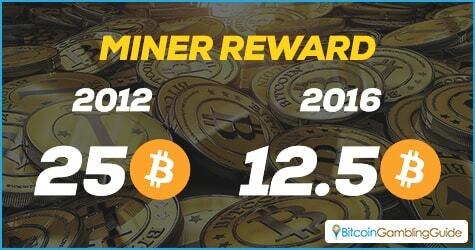 This first happened on November 28, 2012, which dropped the mining rewards from 50 BTC to 25 BTC. This was not a concern back then because the price of Bitcoin was just $13.42. The situation is a lot different now. With Bitcoin prices fluctuating around the $370 range, Bitcoin mining earns around nearly $10,000 for each block solved. With June or July of this year being slated for the time when the halving happens again, there are concerns about how this will affect the already volatile price of the cryptocurrency. There are two possibilities. One of these theories has already been proven by history. The only time Bitcoin mining rewards got halved, in 2012, there was no discernible change in the market. Some analysts say that the same will happen this time. 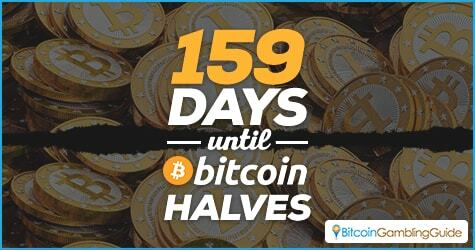 Many point to the fact that upcoming Bitcoin halving is not coming as a surprise and Bitcoin users are prepared for the potential changes. Additionally, many experts think that the disruptions caused by the halving will be minimal, without any larger effects on the market. It is also possible that something major happens. The main result that Bitcoin watchers predict is that with the halving of rewards, miners will have less incentive to mine for bitcoins. At the current reward, miners are having a hard time breaking even. This is mostly because of the specialized equipment needed and the electricity costs. 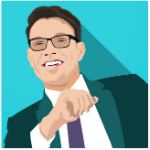 This can affect the Bitcoin price as less of the digital currency is added to the market. This coincides with the increasing Bitcoin penetration of the mainstream. This will mean more people will want to have access to the currency. High demand and low supply will result in a sudden surge in prices. This will level off as miners will suddenly find that mining for bitcoins profitable again. Gambling with Bitcoin has always been affected by the fluctuations of the market. A gambler’s bankroll may suddenly rise or drop in value depending on the current price on the exchanges. A sudden surge in prices can make the bitcoins stored in a gambler’s wallet go a lot further on the gaming table. Online gamers should take note of the coming date, whether something will happen or not. Additionally, they should stock up on more bitcoins. It can be a gamble but betting on a surge in the market prices is no different than wagering on a roll of the dice. On another note, the effects of the Bitcoin halving can be a hot topic in the Bitcoin prediction markets sites. It can then be expected to find on BetMoose and Predictious and the likes certain events related to the nearing Bitcoin halving, from which bettors can also earn from. Granted that most bitcoiners speculate neutral to positive effects on the price of Bitcoin, Bitcoin halving can just come as a rite of passage for the cryptocurrency to mature and reach global acceptance.